The choice between red dots or low powered variable powered optics typically is a topic that creates some “friendly debate.” I myself wrestle with this question frequently. I am constantly in search of the “do all” optic to put on my modern sporting rifles. Am I doing myself a disservice by going with one or the other? Both options have their strengths and weaknesses, but which one will give me more capabilities? The tried and true red dot has been around for some time. It is easy to install and operate piece of gear. Mount the dot on your rifle, zero it, and then begin shooting. If you have one of the more common zeros then you will notice that everything that dot lands on inside of 200 yards has a good chance of hitting its mark (even small targets). The minimal parallax in dots also takes a lot of the user error out of your sight alignment. We only start to see the limitations of the red dot when the distance to the target increases. Making positive ID’s and shot adjustment calls become difficult with red dots. “Hold overs” become a kind of guessing game. The red dot has been and will continue to be the king of the hill at closer distances. The popularity of LPVOs on MSRs is an upward trend. Generally an optic is referred to an “LPVO” when the range of magnification is under 10x. 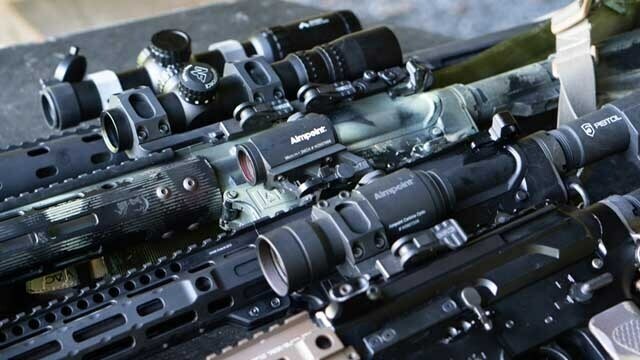 Almost all of the major optics manufacturers have released their version of a 1-4x, 1-6x, and or 1-8x variable optics. At 1x, LPVO’s have ability to perform like a red dot at closer distances and then increasing magnification for target ID or to see splash for adjusting a holder over. The endless variety of “bullet drop compensation” (BDC) reticles in LPVOs make shots as easy as point and click. 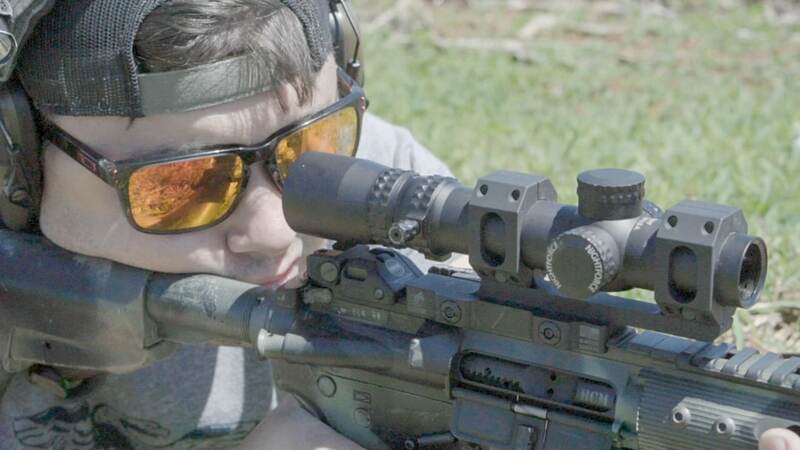 Field of view, parallax, and weight can be a concern when running optics with magnification but optic technology continues to advance (exponentially) making them lighter and easier to use. Personally I have come terms that the LPVO is best for me the majority of the time. If I have a choice I continually find myself reaching for a gun with a lower variable powered optic. I do own red dots as well but they are usually on guns with shorter ranges like subguns or 300 blackouts. On rifles chambered in .223/5.56 I will typically use a 1-4x or 1-6x. This range of magnification allows me to use the round to it’s full potential. If I am using calibers like 6.5 Grendel or .224 Valkyrie with a longer effective range then I might step up to a 1-8 or even a 2.5-10x. The low magnification allows me to run my LPVO like a red dot but if targets are further out then I can dial up the magnification. 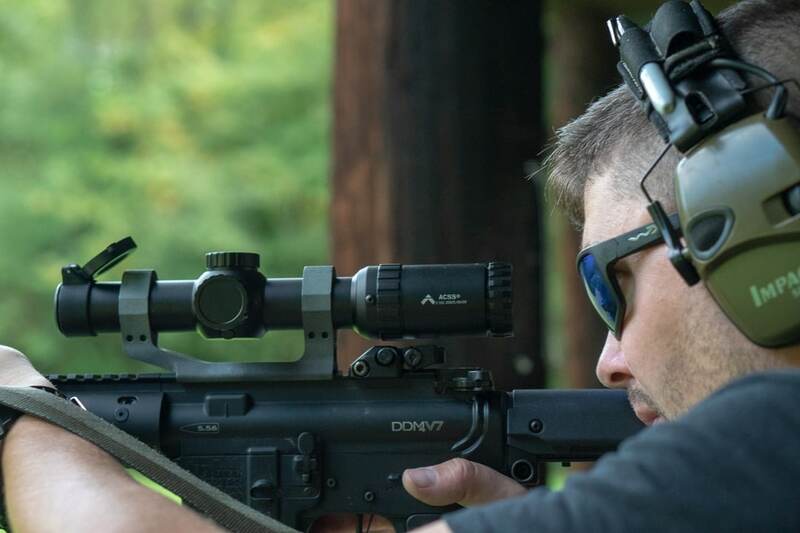 Ultimately the choice between a red dot or low powered variable optic will come down to what you need to accomplish with your modern sporting rifle. If shooting at distance is not needed then a red dot makes a lot of sense for your “mission set.” For example, a dedicated home defense AR15 would be a great host for a quality red dot. A red dot may also be a little easier of a learning curve for a new shooter. For the hunter and competition shooter a LPVO will be an option that is more versatile. 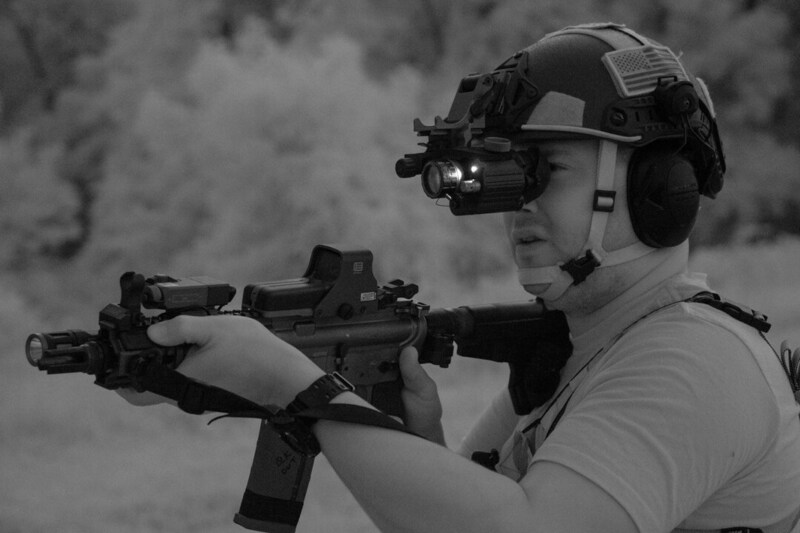 Keep your optic on 1x for closer targets and increase magnification as needed when stretching out. The task at hand will be the biggest factor in choosing between the two.